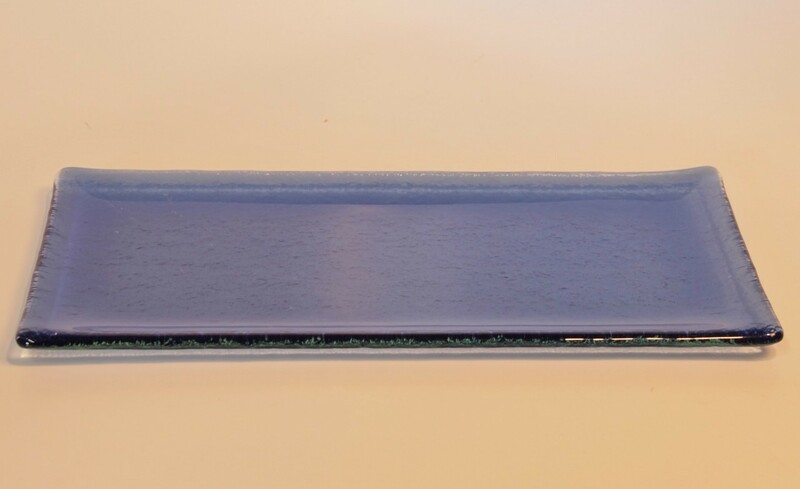 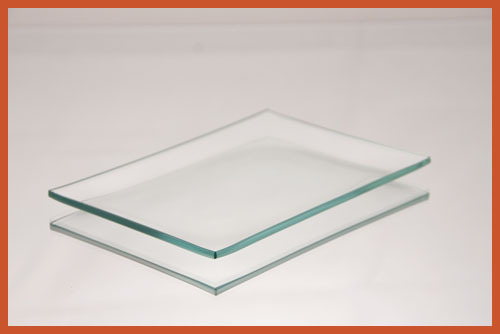 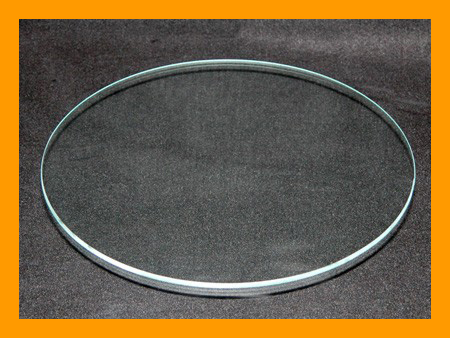 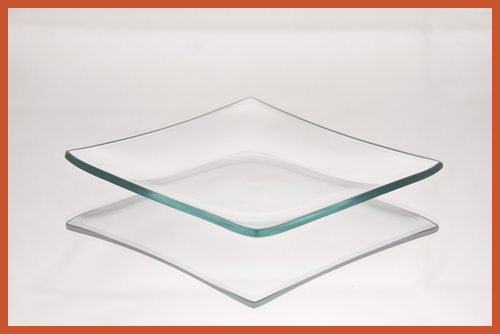 5" x 10" rectangle transparent blue glass plate, bent. 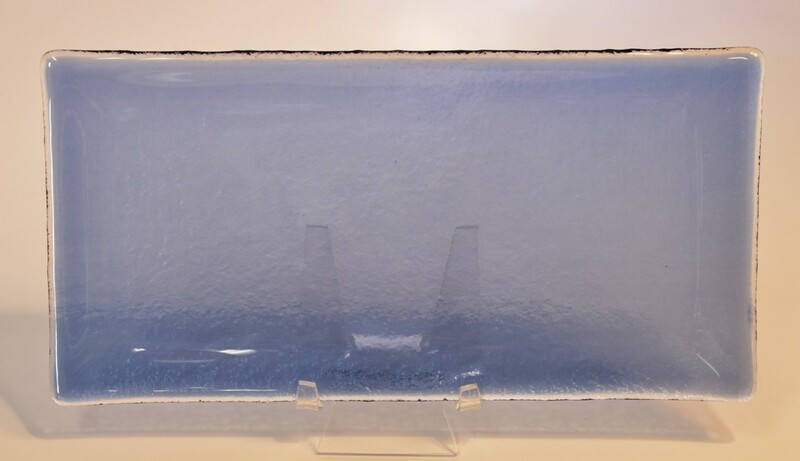 > 5" x 10" Rectangle Transparent Blue Glass Plate, Bent. 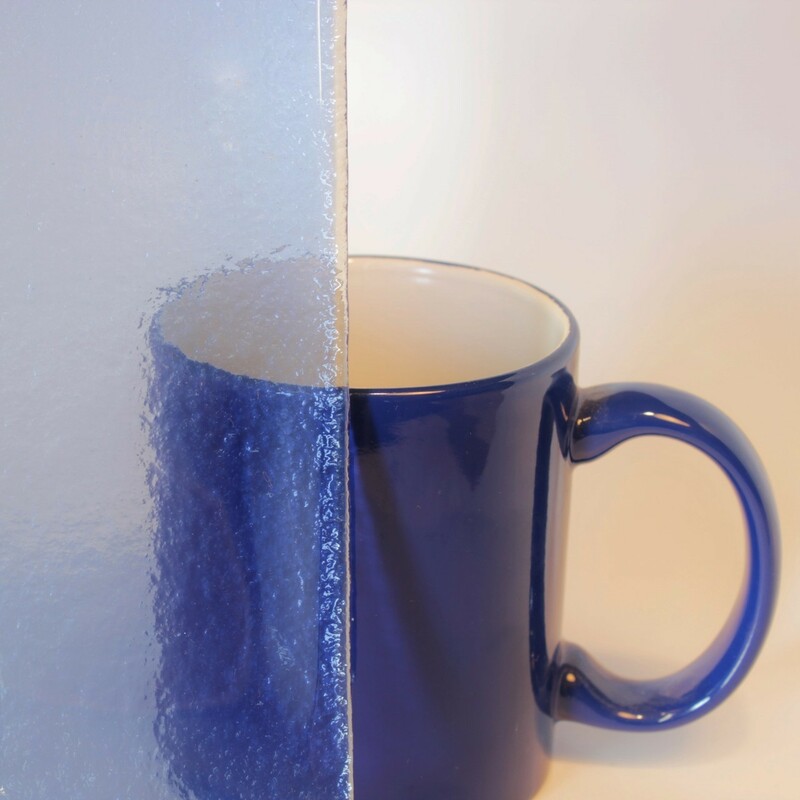 Silkscreened transparent blue color on top.